Playtech’s White King slot features Stacked Wilds and free spins. But what makes it stand out? Read this review to find out more about this game. White King: A Slot with Grand Rewards? Lions are the most majestic wild creatures in Africa, symbolizing royalty and riches. Because of this, it is no surprise that online slot games focus on this animal. In fact, you will find titles like Silver Lion focusing on the king of the jungle. But this review focuses on White King slot, Playtech’s own take on the stately lion. On this 5×3 slot, you can experience the power and grace of the white lion, set in the heart of its natural habitat. But the question here is: will you get impressive rewards from this title? Read on to find out. The regal background music of White King sets your mood right away as soon as you load the slot. On the other hand, the design of the grid is simple as the reels have a royal blue background with ornate embedded borders on the side. Meanwhile, the player grid is set against a green backdrop with mountains. The high-paying symbols are the White King, the Crown, the Lioness, the Eagle, and the Lion Cubs. Meanwhile, card icons A, K, Q, J, 10, and 9 represent the low-paying symbols. You will also see the White King Scatter logo during the game. There are 40 paylines on White King, but you can choose to play only a few paylines using the slider at the left side of the reels. After that, you can choose to play it safe or to go all out with your bets ranging from 0.01 to 50. Or you can click Max Bet to spin the reels with the highest wager. The more lines you play, the better your chances of winning higher prizes. The game will award you for three to five similar symbols from left to right on a winning payline. If you want the reels to spin automatically for up to 99 times, click Auto Play. You can also put the game in Turbo Mode for faster spinning of the reels. The slot has two special features: Stacked Wilds and Majestic Night Free Spins. Read on to find out more about these bonuses. The Wild symbol of the game is the White King, which substitutes for all the symbols except the Scatter. Keep in mind that these icons are stacked, meaning a series of White Kings will fall on the reels together. And if you are lucky enough to hit five of them on an active payline, you will win up to 50,000 coins if you staked the highest bet amount. The game logo is the Scatter, which appears on Reels 2, 3, and 4. Land three or more of them on the mentioned reels, and you will trigger Majestic Night Free Spins. You start this bonus round with five free spins. 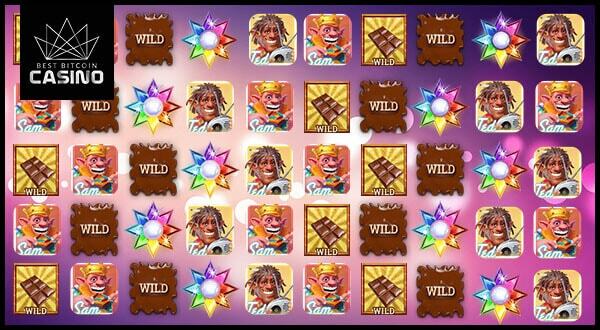 But you have a chance to re-trigger more free spins if three or more White King Scatters appear on the reels. The best part is that more Wild symbols appear during this mini-game, giving you better chances to hit winning combos. White King offers the standard Wilds and Scatters usually found on most slot games. Sadly, you might have to look for other games if you are seeking more exciting bonus features. In terms of features, White King does not offer anything unique. Plus, it is a high-variance slot. You may not win most of the time, but when you do, you stand a chance to hit huge coin prizes. To make the most of your gaming sessions on White King, make sure to grab generous bonuses in the online casino of your choice.